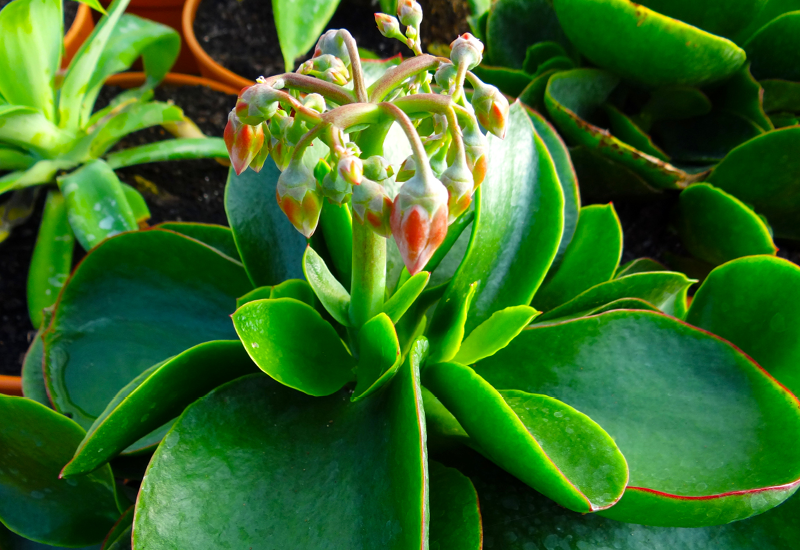 Cotyledon Kermit will leap right into your garden. It has bright green rounded leaves with deep magenta margins, and makes a bold impact. From winter to spring, you’ll see a showy orange flower. Easily tucked in a sunny spot for some lush greenery, or placed in a large pot. Ensure that the soil is well drained.